The dates of arrival of the fourth installment of one of the most popular sagas of Ubisoft, “Assassin’s Creed IV: Black Flag”. Come to Xbox 360, PlayStation 3 and Wii U on 31 October and soon for the new generation of consoles and PC. Ubisoft announced the fourth title in the series, and the cover of the game. In addition, confirmed that the delivery would arrive before March 31, 2014, date on which fiscal year end of the company. However, users can enjoy new data on the fourth installment of this popular game. 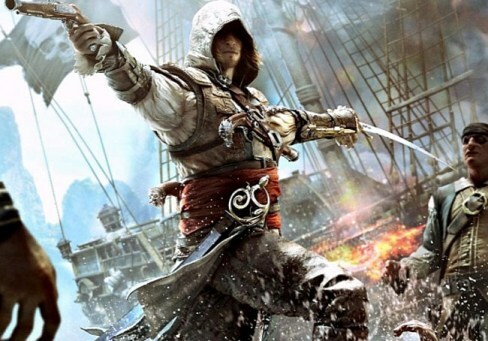 On the one hand, the developer showed the past weekend the first trailer of the game where a pirate tells the story of Captain Edward Kenway. Their struggle for fame and glory earned him the respect of legends as Blackbeard, but also plunged into an ancient struggle that threatened to destroy all that the pirates had created.